Government candidates who lost in the races filed election challenges in six election districts with the Supreme Court, alleging voting irregularities. The government alleged that votes were bought by the opposition in Amazonas, a poor state with a small population in the south of the country. The court has come under harsh criticism from analysts and rights groups since the lame duck parliament last week appointed 13 Socialist party loyalists as magistrates before lawmakers’ terms ended. 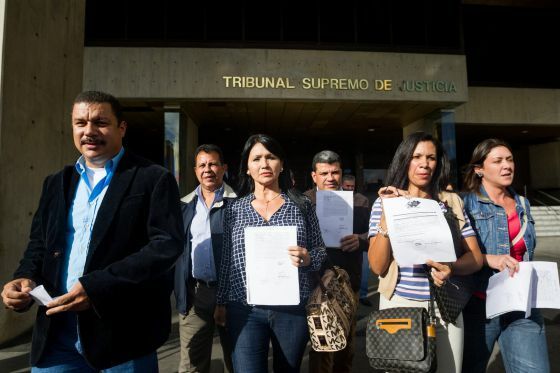 Venezuelan legal experts said Socialist legislators violated constitutional norms by naming party allies as judges and by rushing through the appointment process in two days of marathon assembly sessions that opposition lawmakers largely boycotted and deemed illegitimate. Posted on its website, the Supreme Court’s statement didn’t specify on what grounds it acted against the lawmakers from Amazonas. While the court had received requests for injunctions on nine legislative seats won by the opposition, the court only ordered a halt on three of them. The six others will be able to participate in the inauguration next week, though their cases will still be subject to a judicial review. It affects all three deputies from Amazonas state, and the indigenous deputy from the Southern Region, which also includes Apure state. that only the National Assembly can qualify its members, not the Supreme Court acting retroactively. The results from this year’s 2015 Fabulous 50 Blog Awards are in and the Council scored big! Teresa Monroe-Hamilton’s The Noisy Room, Fausta’s Blog, VA Right, Sara Noble’s The Independent Sentinel and Bookworm Room all received individual awards and rave write ups, and the Council as a whole received a group award as best blogging group.. This week, The Pirate’s Cove, Right Reason, The People’s Cube and Seraphic Secret earned honorable mention status with some great articles. To bring something to my attention, simply head over to Joshuapundit and post the title and a link to the piece you want considered along with an e-mail address (mandatory, but of course it won’t be published) in the comments section no later than Monday 6PM PST in order to be considered for our honorable mention category. Then return the favor by creating a post on your site linking to the Watcher’s Council contest for the week when it comes out on Wednesday morning. The Glittering Eye –How Can New York And California Do it? The Pirate’s Cove – Is The Paris Climate Agreement As Toothless As It Appears? Flopping Aces – Liberals: Schlonged is bad, but Teabagging OK submitted by VA Right! Venezuela’s ruling party filed motions to dispute the election of eight lawmakers from the opposition coalition, which on Dec. 6 obtained a majority with enough power to rein in President Nicolás Maduro, sack Cabinet ministers and even call an assembly to rewrite Hugo Chávez’s 1999 constitution. The government’s party needs to succeed in unseating just one of the eight elected lawmakers to take away the so-called supermajority from the opposition. The motions were filed Tuesday before the Supreme Court, just days after the government appointed 13 new justices — including two of the five justices from the Sala Electoral, the panel charged with all electoral issues. The new members to the National Assembly do not take office until January 5th. Diosdado Cabello and his goons can cause a lot of harm and mayhem in one month. The takeaway: What takes place in Venezuela in the next month, and in the first six months of 2016 will be crucially important for our entire hemisphere. The agreement between Central American nationsand Mexico to allow around 8,000 stranded Cubans to travel legally from Costa Rica to the U.S. was viewed as a positive short-term solution, but sparked fears the move could encourage a wave of illegal migration in coming months. Fearing an end to special U.S. asylum treatment as Cuba-U. S. relations improve, thousands of Cubans have used legal visits to Costa Rica and Ecuador as a first step toward migrating to the U.S. But in this latest case, Cuban migrants became stuck in Costa Rica in recent weeks after neighboring Nicaragua closed its borders to them, blocking the land route north. Nicaragua wasn’t part of the accord signed on Monday. Signatories nations included Guatemala, El Salvador, Panama, Honduras, Costa Rica and Mexico. Even some officials of the signatory nations said the deal comes with risks. “We are finishing the work of the smugglers, and of course it will incentivize the arrival of more illegals, but in solidarity we could not ignore the drama in Costa Rica,” Carlos Raúl Morales,Guatemala’s foreign minister, said in an interview. Secret deal hatched to airlift 8,000 Cubans out of Costa Rica and put them back on track to U.S.
I’ve been saying all along that the problem is assimilation; the current administration in Washington is totally uninterested in having hundreds of thousands new immigrants assimilate. 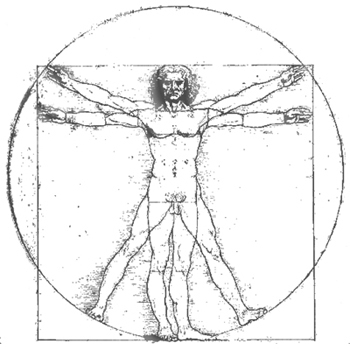 Year’s end listicles,the most relaxing thing, the Vitruvian Man, and a few Random thoughts at year’s end. Read my post here. En el acuerdo entre el Gobierno y Farc, narcotráfico no tendrá extradición ni castigo doméstico. So not only won’t the Colombian government continue to outsource justice instead of repairing its broken institutions – especially the justice system, which The Economist calls “worryingly inefficient and corruptible” – the drug trade (the FARC’s main source of revenue) won’t be punished. Over the past several years I have posted on Argentina’s dubious economic data and the Kirchneristas’ persecution of economists who didn’t toe the official line. Businessmen also came under pressure. Miguel Schiariti, the president of Argentina’s meat industry chamber, recalled getting into heated arguments with Mr. Moreno, who wanted meat prices to stay low. Mr. Moreno didn’t respond to requests for comment. He told a local television program recently that Indec’s data was accurate, and he accused economists of self-interest in reporting higher inflation figures. Indec workers who refused to doctor data were demoted to dingy offices without equipment, according to the public employee union, an account backed by Mr. Garrido’s findings. Others say they received threatening phone calls and were hassled in the building’s hallways, union leaders said. 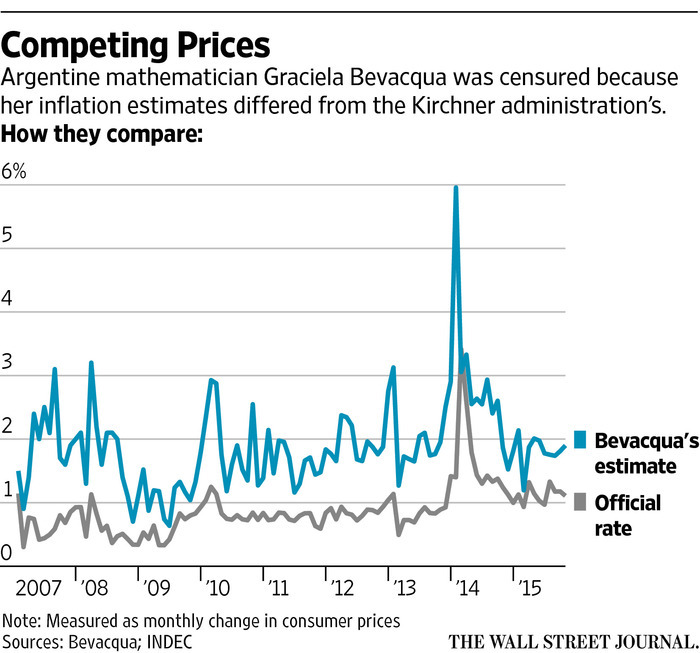 Indec’s reputation was ruined, leading private-sector economists to publish their own data that showed rampant inflation two or three times higher than official figures. This year, private economists say inflation will be about 25%. 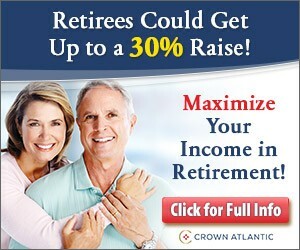 Years of this left the government with – 0 – credibility. Macri has his work cut out ahead for him. Meanwhile, Cristina Fernandez de Kirchner fails time and again to make herself relevant. National Assembly members were summoned to four extraordinary sessions on December 22 and 23 for this purpose; usually, Congress ends its last session of the year on December 15, but the current ruling party majority decided to delay its recess after the opposition’s recent victory in the parliamentary elections. On December 22, the Supreme Court’s Constitutional Chamber issued a ruling stating that all extraordinary sessions in the National Assembly have legal validity. This means that any decision that outgoing congressmen approve will be legitimate. By appointing 21 new Supreme Court magistrates, Chavista congressmen would be able to avoid investigations against members of congress and government officials being prosecuted in foreign courts. The measure also hinders the discharge or impeachment of the president, ministers, members of the armed forces and other high-ranking functionaries. In Caracas, opposition leaders also appeared ready to negotiate. But Maduro and his most powerful deputy, National Assembly President Diosdado Cabello, embraced a radical, and highly risky, strategy of confrontation. Since the Dec. 6 vote, Cabello has convoked a new, unelected “communal Congress” and installed it in the parliament building. Maduro has hinted that the outgoing N ational A ssembly, which remains in office until Jan. 5, may transfer its powers to the new “Congress.” Meanwhile, the ruling party rushed last week to appoint 13 new members to the supreme court, which was already under government control. All these steps were flagrantly unconstitutional. But the most ominous measure floated by the Chavistas goes still further: a court action to overturn the election of 22 opposition deputies. Last Tuesday, opposition leaders called a news conference to announce the government was going through with what would amount to a nuclear option. Hours later, the supreme courtmysteriously responded that it had received no such petition. Venezuelan analysts believe the episode may have been a sign of a divide in the regime. The intransigence of Maduro and Cabello is likely encouraged by the regime’s hard-line Cuban advise rs, but it is also rooted in corruption. Cabello is reportedly a prime target of a U.S. federal drug trafficking investigation, while two of Maduro’s nephews are already being held in New York on trafficking charges. With U.S. prosecutors involved, the Chavistas, unlike Burma’s generals, cannot negotiate a pass. On the other hand, the Venezuelan military, including Defense Minister Vladi­mir Padrino López, has no interest in tactics that may drive Venezuelans into the streets and leave the a rmy with the job of putting down a “people power” rebellion. That would be the likely result of reversing the election results. So it could be that Venezuela’s victorious opposition, like Burma’s, will end up negotiating with the generals. In a report Monday, the group, the Venezuelan Violence Observatory, estimated that 27,875 killings occurred this year, pushing the homicide rate up to 90 per 100,000 residents; last year, its count was 82 per 100,000.